I thought your readers would love to know Marie Callender’s is celebrating National Pie Day on January 23 with their Perfect Pie Trio offer starting at $9.99. Marie Callender’s also introduces its NEWEST pie, the Peanut Butter Chocolate Cake Pie available for a limited time. Is this something you are interested in covering in your stories or round-ups? Additional information is available online at mariecallenders.com, but please let me know if I can provide you with high-res images. The first couple of times this happened, I replied to say that I have no desire to provide unpaid advertising for a national chain, and that I wasn't going to make any special effort to try whatever their new deal is on my own dime, unless of course it was something I'd be really interested in anyway. Plus I take my own pictures, horrible though they may be at times. Either they don't read the replies or they don't care, because I continue to receive these exciting offers for opportunities to shill for them. Frankly, I'd find the whole thing a little insulting if it wasn't for the fact that it's obvious they've never even looked at my website. In discussing it with my roommate, I said something to the effect that if they would provide me with a gift card sufficient to cover the expense of whatever they're trying to get me to push, I would at least try it myself and write about it. Though of course I would make it clear that I was compensated for doing so. Yeah. So what you see above is a package I received from the folks at Del Taco, after I replied to a very vague e-mail asking if I would provide my mailing address in exchange for some information about an "exciting new product". 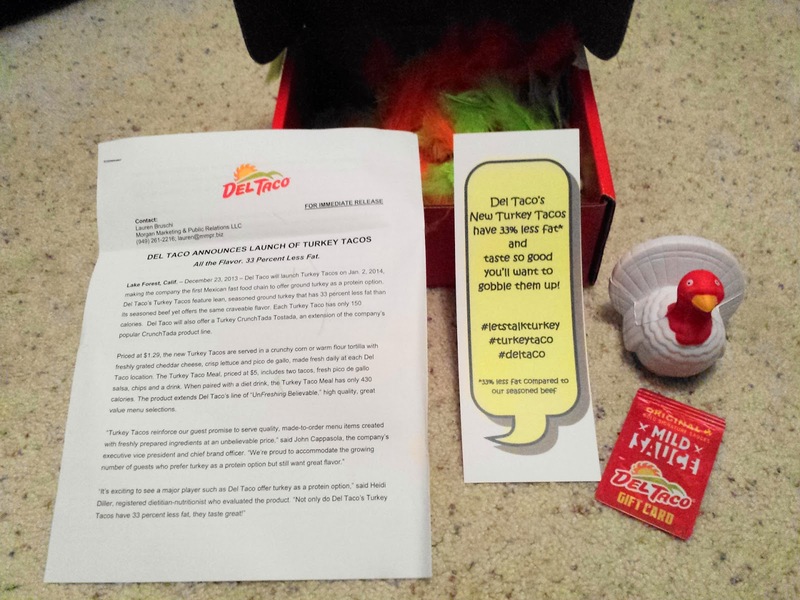 Soon afterward this box arrived, containing a toy turkey, a press release about Del Taco's new turkey options, an info card with a little nutritional data and some hashtags, and a bunch of garishly colored fake feathers that shed annoying little neon fibers EVERYWHERE. And of course, a gift card for the exact amount of a two turkey taco combo meal. 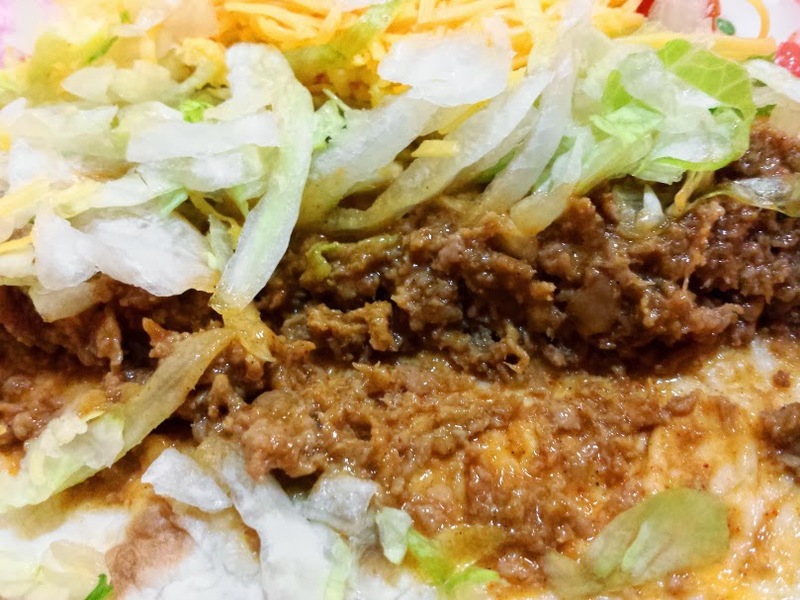 I think I've probably made my feelings about Mexcian-ish fast food abundantly clear, but I perused their website and saw a few interesting items, plus I LOVE subbing turkey for beef in recipes. So yeah, I'll admit to some curiosity. And I like to think of myself as a man of my word. Still, I figured I needed to even the playing field a bit, so I brought along my roommate's daughters, both of whom are big Taco Bell and Taco Time fans. 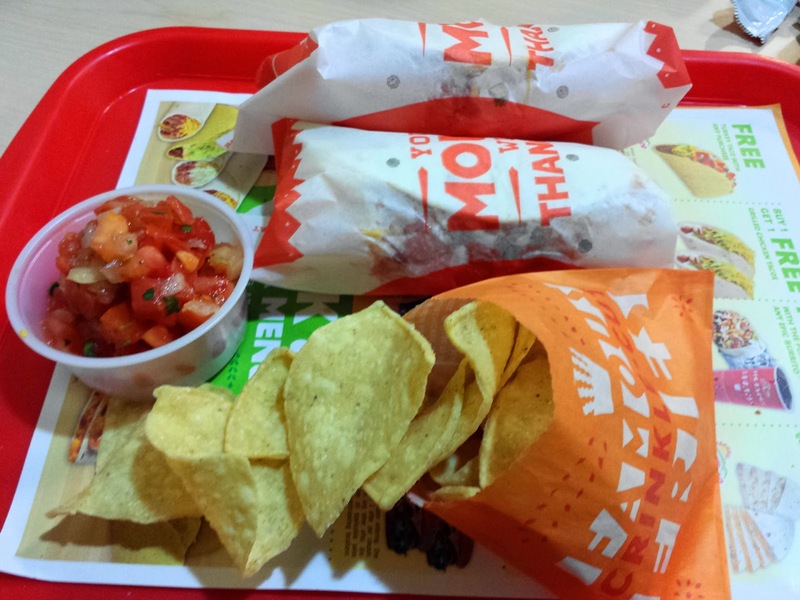 Del Taco was unfamiliar to them though, so they played it safe with bean and cheese burrito kid's meals. As for myself, I decided to take the obvious hint and get the two turkey taco meal, though I have to admit I wasn't thrilled about it; to me, a taco is served on one or two soft corn tortillas, and the options at Del Taco are hard corn shell or soft flour tortilla. Since I despise the former, I opted for the latter. To make things interesting, I tacked on a turkey CrunchTada Tostada, and then as a last minute impulse an order of the Cheddar Potato Poppers they were advertising on a sign at the register. 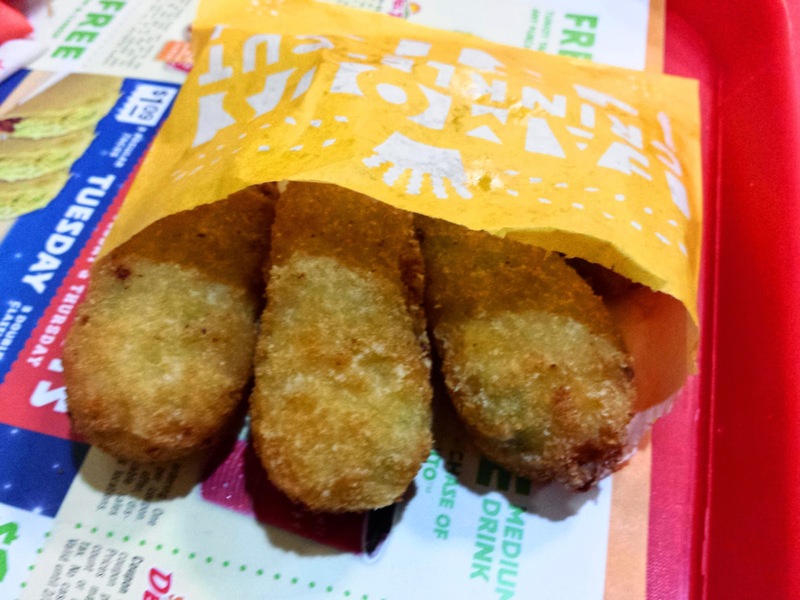 The poppers were pretty typical of a fast food side: cheesy and starchy but without much flavor, despite the addition of jalapeno. 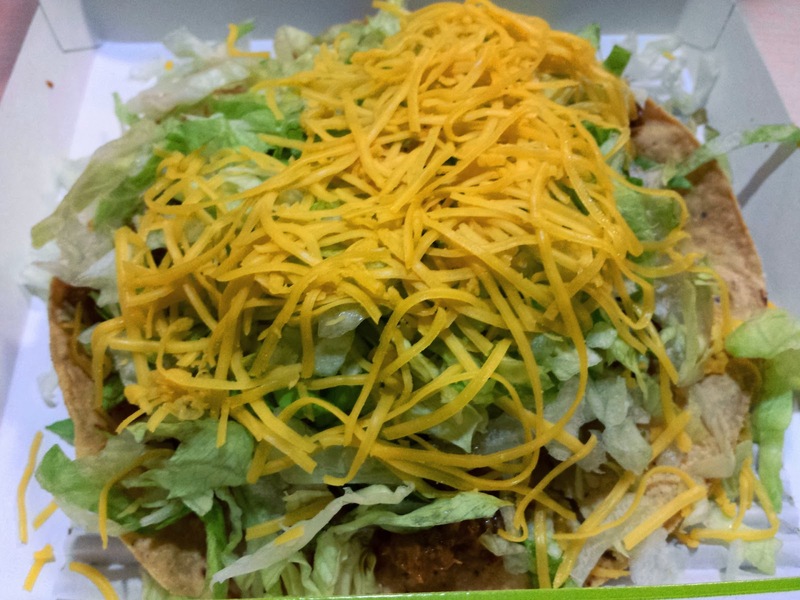 Opening the box that contained my tostada, I was immediately surprised to see it was topped with cheese. I looked at the picture on the menu again, and it appeared that this was the way they meant to do it. This makes no sense to me. If I were to do this dish at home, I would put the beans and/or meat on top of the tostada, then the cheese so the heat from below would cause it to melt, and THEN add the veggies. All in all this wasn't terrible, though it's basically nachos where you have to break apart the chips and the cold cheese was off-putting. Plus, I wasn't crazy about the texture of the turkey, and there was a slightly odd undertaste that was familiar but which I couldn't place. The taco combos at Del Taco come with a side of chips and pico de gallo, both of which are pretty flavorless and which I mostly ignored. 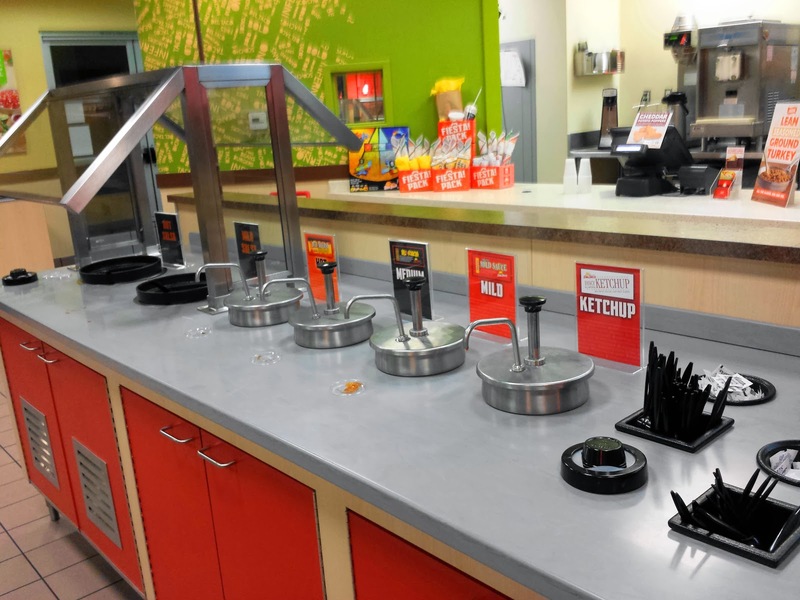 The salsas available at the counter were better. I've already discussed my tortilla hang-ups, but let's take about the taco thing a bit more. As I've said previously, I spent my whole childhood thinking that I hated Mexican food, primarily because I didn't know what it was. 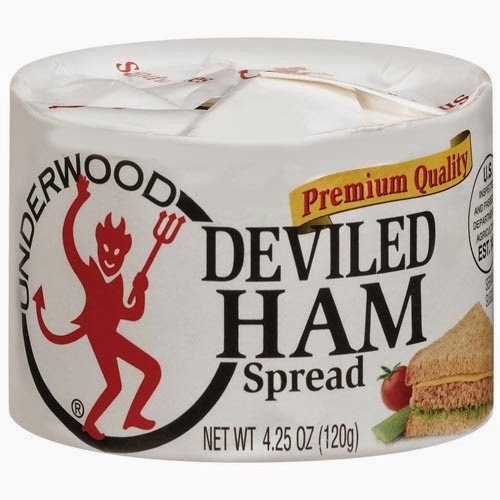 The entirety of my early experiences with it involved ground beef, hard taco shells, iceberg lettuce, cheddar or Jack cheese, canned red enchilada sauce, guacamole with mayo mixed in (thanks, Grandma)...well, you get the point. My first visit to a taco truck blew my mind. Who would have known that lightly seasoned meat that still has some texture on a couple of thin, grilled corn tortillas and topped with a little onion and cilantro (and of course a squeeze of lime and some vibrant green salsa) could be so amazing? 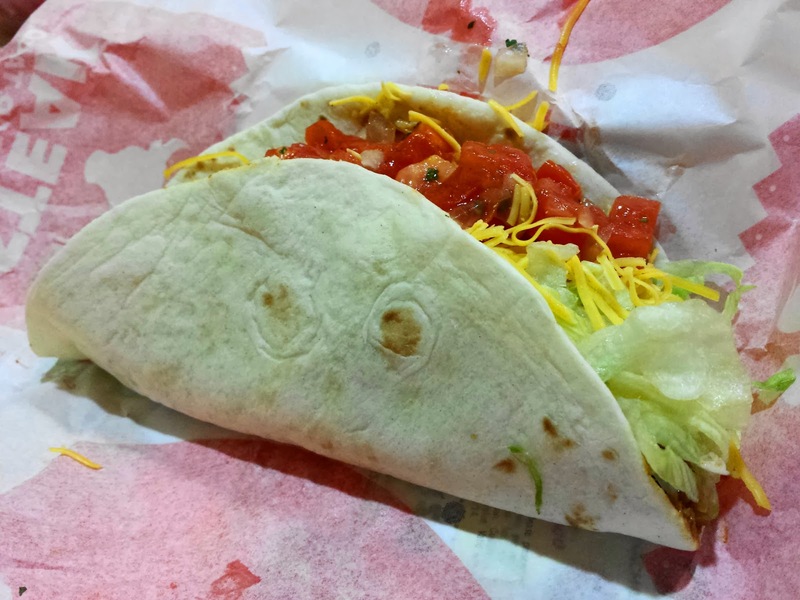 The tacos at Del Taco were an unpleasant reminder of my childhood experiences. I resolved myself to try and clear my mind of prejudice and judge them on their merits. If all else failed, I would try to think of them as tiny little burritos. This is not a compliment, even though I kinda like this stuff. The high moisture and mush-like texture certainly didn't help, but I'm not sure what exactly is triggering the association. Perhaps there is a common seasoning? Luckily, I was able to kill it with a little hot sauce. Regardless, I won't be rushing to return to Del Taco anytime soon. As for the kids, they seemed to like their meals okay (not often you get a bean burrito with a side of fries), so I might take them back at some point. And then I'll go across the parking lot to Los Beto's and get some food for myself.